The trillions of bacteria that live on us and in us—otherwise known as our microbiomes—are vital to our health in ways we’re just beginning to understand. Now scientists have discovered the most diverse collection of bodily bacteria ever, in a remote Amazonian tribe of southern Venezuela. The study, which appeared yesterday in the journal Science Advances, finds that the Yanomami tribespeople harbor an unprecedented level of microbial diversity in their digestive tracts and on their skin—roughly 40 percent more types of bacteria than humans living in industrialized countries. The findings offer yet more evidence that modern lifestyles reduce the diversity of our microbial ecosystems, with potentially far-reaching consequences for our health. 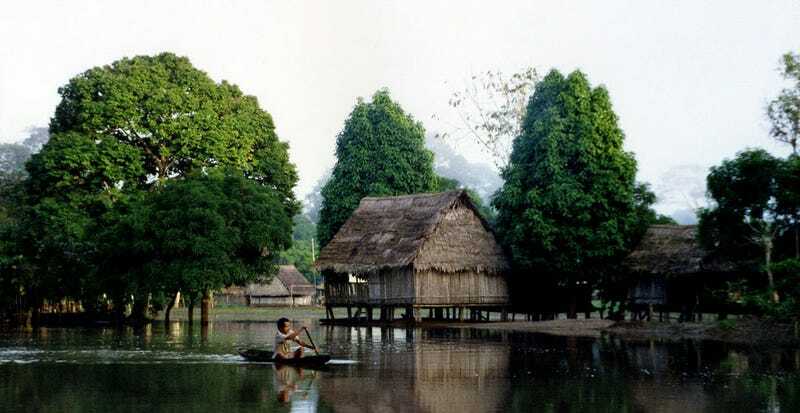 The Yanomami villagers are a small collection of hunters and gatherers who are thought to have lived in total seclusion until they were contacted by a medical expedition in 2009. Unexposed to modern antibiotics and Western diets, they offer a unique window into the bacterial ecosystems of humans past. Another interesting find was that the Yanomami still harbored some antibiotic resistant bacteria, despite having never been exposed to commercial antibiotics. These drug-resistant bugs were likely picked up from the natural environment: Soil, for one, harbors a wealth of antibiotic-producing organisms, and natural antibiotic resistance crop up all the time. To date, the vast majority of microbiome studies have focused on Western populations. Studies like this one, which shed light on how microbiomes have shifted in the modern era, may be a vital step toward developing therapeutics that can rebalance wayward bacterial communities.